My Crafting Channel: Silhouette Challenges Ch# 21 "3D Item for your Craft Room"
Silhouette Challenges Ch# 21 "3D Item for your Craft Room"
This month is create a (3D Item for your Craft Room). 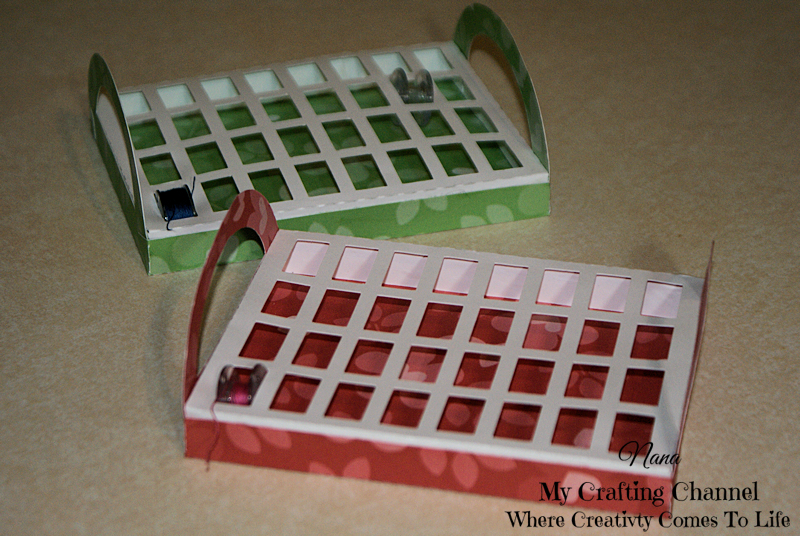 I needed a way to keep my embroidery machine and sewing machine bobbins separated. I saw this in the Silhouette store and I think they work will fine. I can not find my bobbins at this time as I packed it all up last week while we set up the new sewing island. However, when I do find them I can keep one located at my desk where my embroidery machine is and the other on the sewing island. Ch# 21 "3D item for your Craft Room"
Such a fun organization project! Love this idea!!! TFS and hope you are having a GREAT weekend! Great idea, Nana!!! Love the pretty papers you used!!! I just start with a storage box for my stamps!!! Have a great day. Such a fun & creative idea!! Ooh wow, what a great storage place for bobbins! Awesome idea for those who sew! Well, that should do it! How nice. I bought a bobbin box for my bobbins. I could have done this. These look amazing and are so practical to. I was thinking of making these for my mum a while ago as she seems to have bobbins of every colour all over the place, you have just made my mind up to definitely make them now.